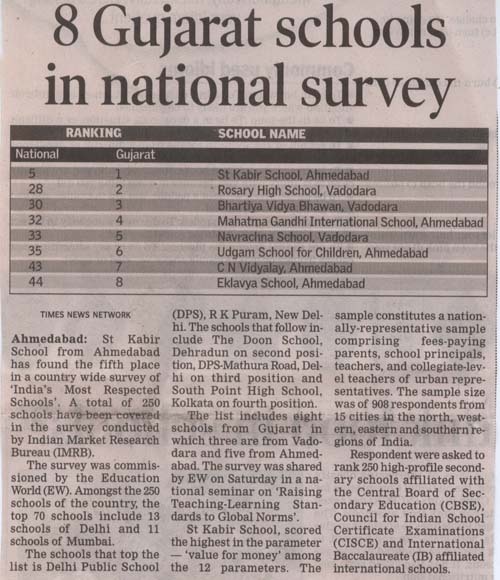 It was a day for all the St. Kabirians to put their chin up and hold their heads high as the news that ST. KABIR SCHOOL AHMEDABAD, had been declared the First and most respected school in the west zone and5th in the country, HIT THE Local News HEADLINES of all the leading Gujarati and English Newspapers of Ahmedabad. 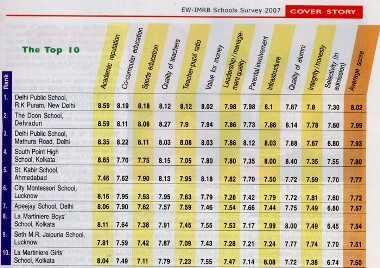 Out of the 12 various parameters on the basis of which this research was carried out by EW-IMRB SURVEY ST. KABIR was rated above 7 on all parameters and above 8 on two quality of teachers and value for money – to score an impressive average of 7.77 out of a perfect 10. 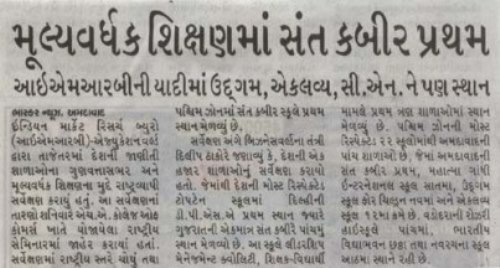 The Managing Trustee of the school Col. Vinod Kumar has very gracefully given the credit of this widespread public respect during the past 20 years to the unique synergy created between academics and extra curricular activities and bonding between teachers and students.